Star Wars isn’t thought of as a particularly violent franchise, but a new video from Digg is putting that in perspective. 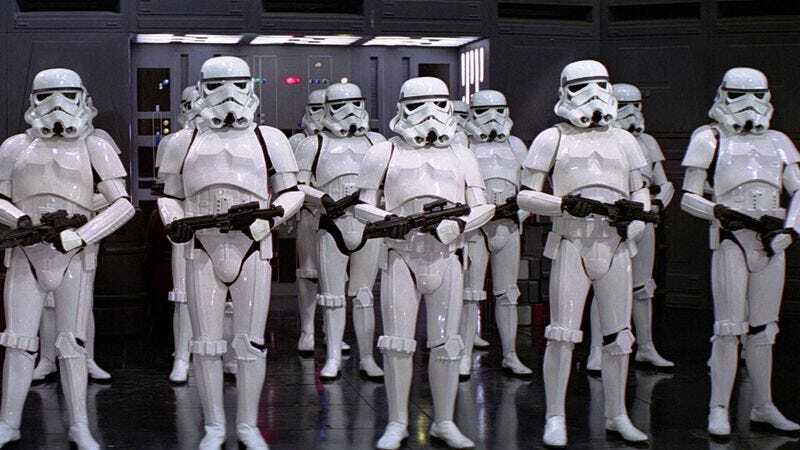 The three-minute video documents every on-screen death in the original trilogy, so get ready to watch a whole bunch of Storm Troopers bite the dust. The video clocks the final body count at 2,005,645,868, although that number gets most of its heft from the estimated 2,000,000,000 unseen people killed in the destruction of Alderaan. There’s also another 2,795,138 casualties in the first Death Star explosion and another 2,471,647 in the second. Plus some big numbers get added to the count as various other ships are destroyed. But regardless of the exact count, this montage of bloodless carnage (accompanied by some NSFW music) does add a more ominous undertone to George Lucas’ fun space adventure.